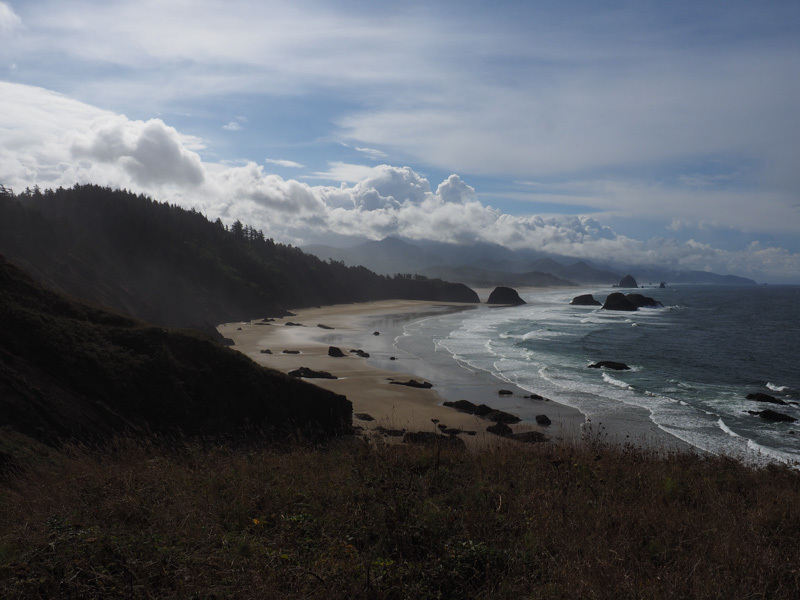 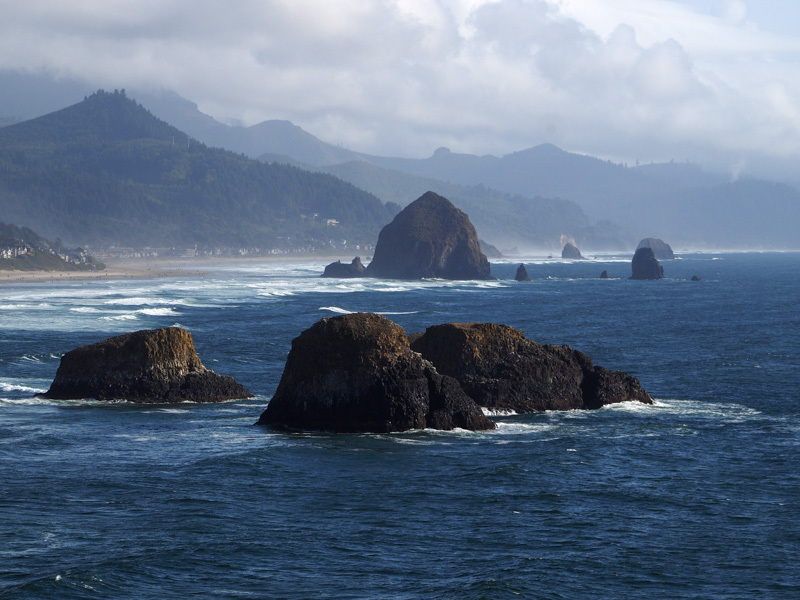 In the northwest corner of Oregon lies Cannon Beach, which has been attracting visitors since 1806 when Captain William Clark (of Lewis & Clark fame) dropped by to purchase 300 pounds of whale blubber from local Indians. 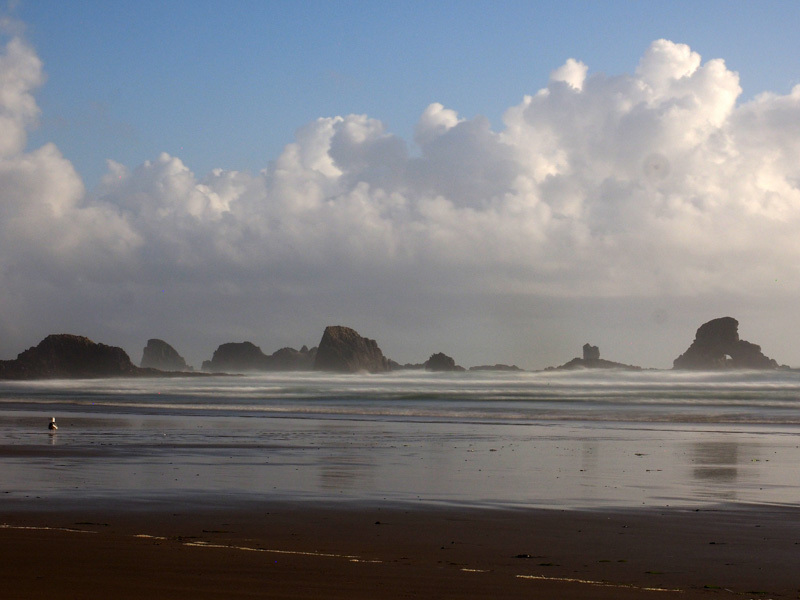 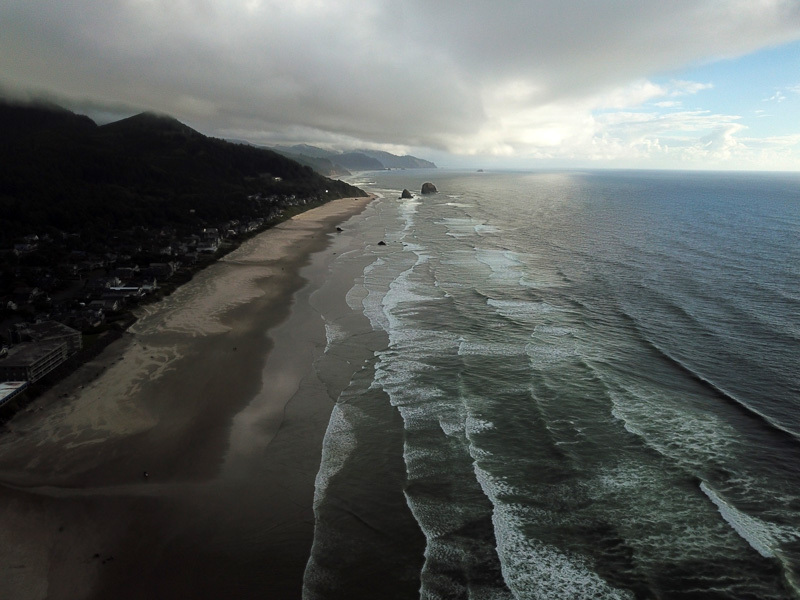 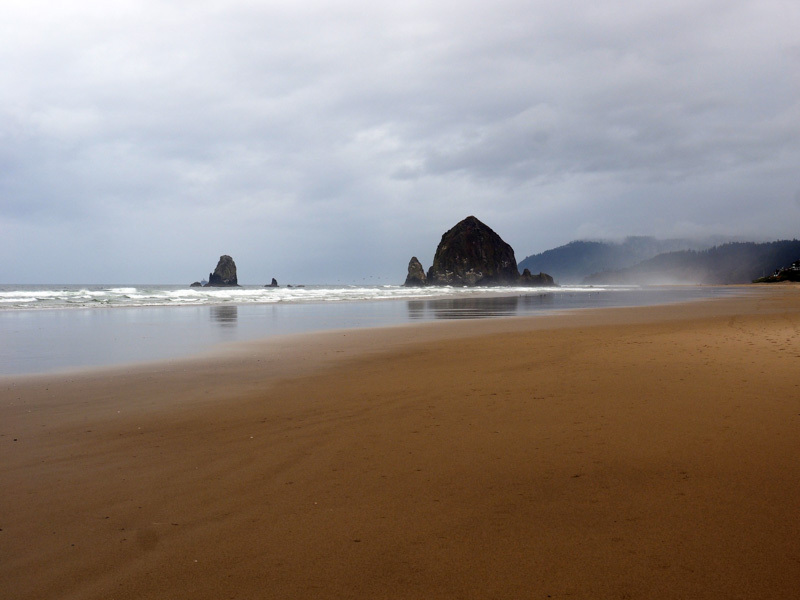 Named for a cannon that washed ashore from the shipwrecked USS Shark in 1846, Cannon Beach offers visitors an abundance of activities to enjoy. 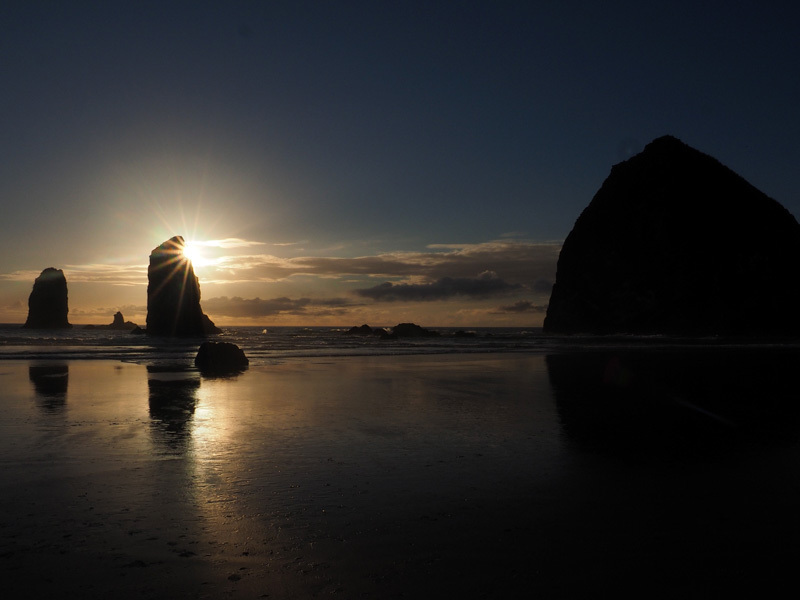 Its postcard attraction is Haystack Rock, a massive 235-foot-tall chunk that sits on the beach behind the downtown area. 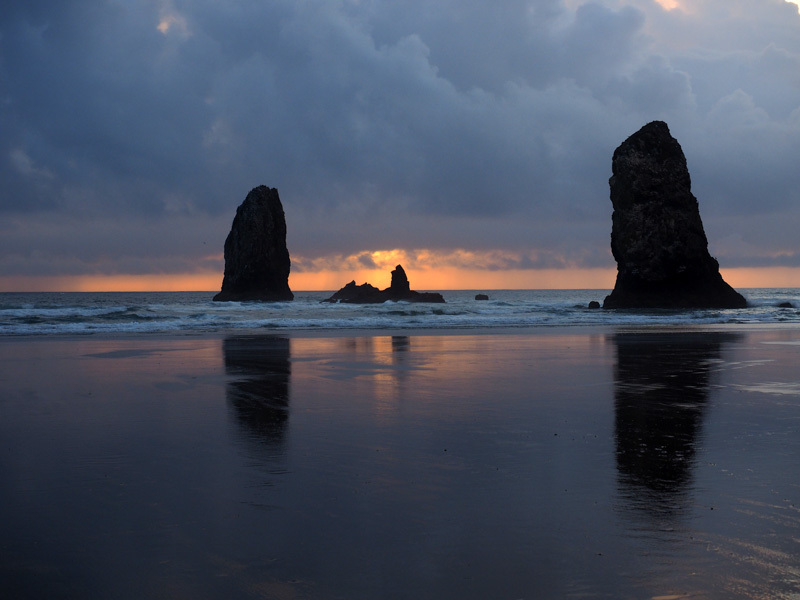 It’s reputedly the world’s third-largest freestanding monolith (after Australia’s Ayers Rock and Atlanta’s Stone Mountain).’ National Geographic Magazine named Cannon Beach “one of The World’s 100 Most Beautiful Places” in their June 2013 issue. 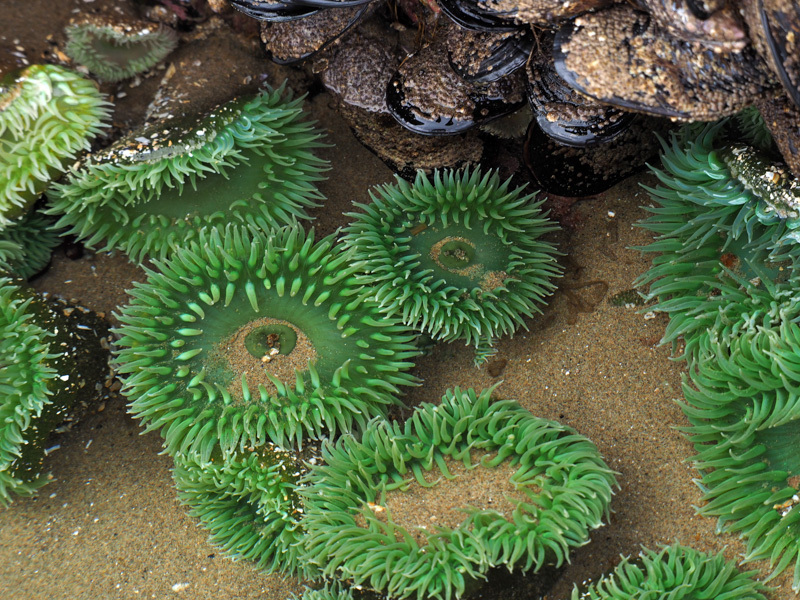 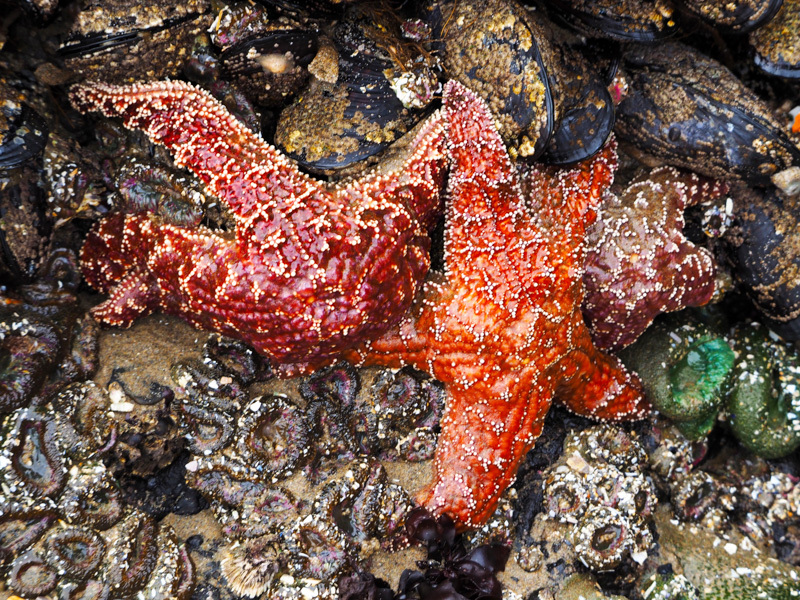 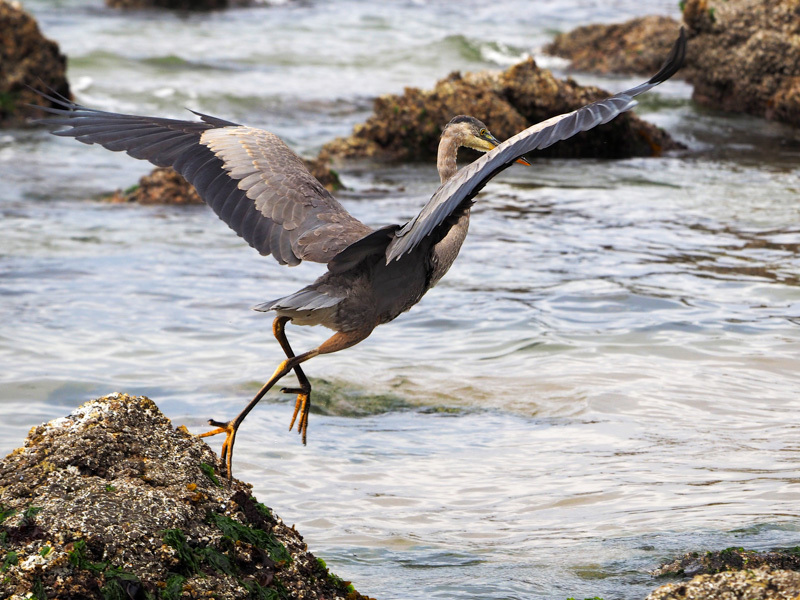 At the base of Haystack Rock during low tide, one can view a variety of tidal pool life. 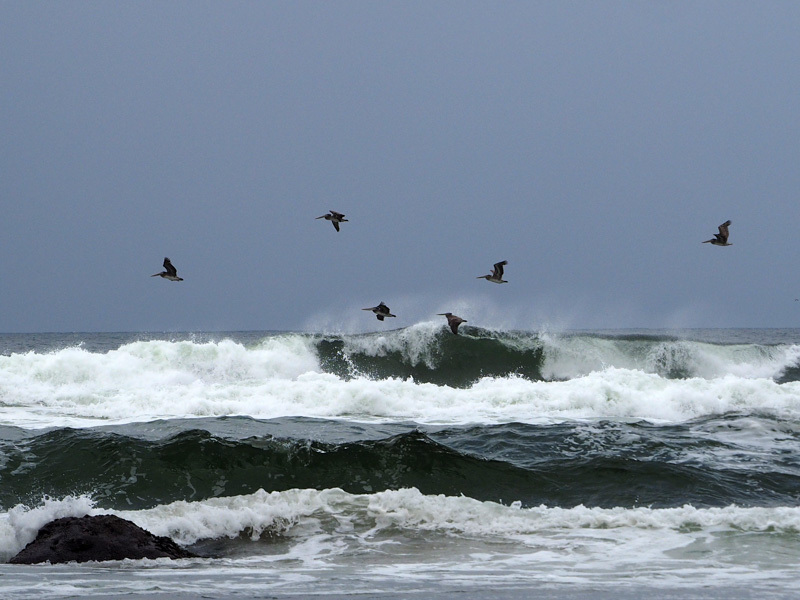 Seagulls, pelicans, herons and even puffins can be seen in this area. 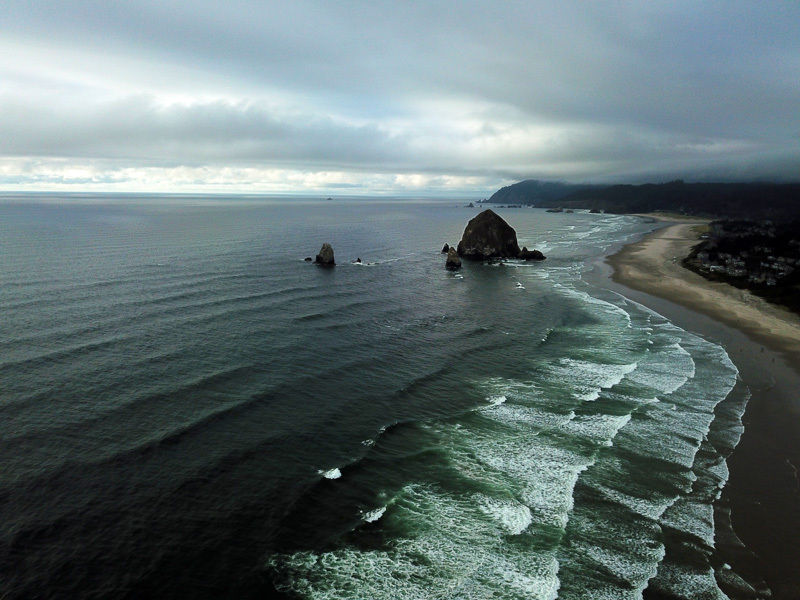 Composed of basalt, Haystack Rock was formed by lava flows emanating from the Blue Mountains and Columbia basin, several hundred miles away, about 15-16 million years ago. 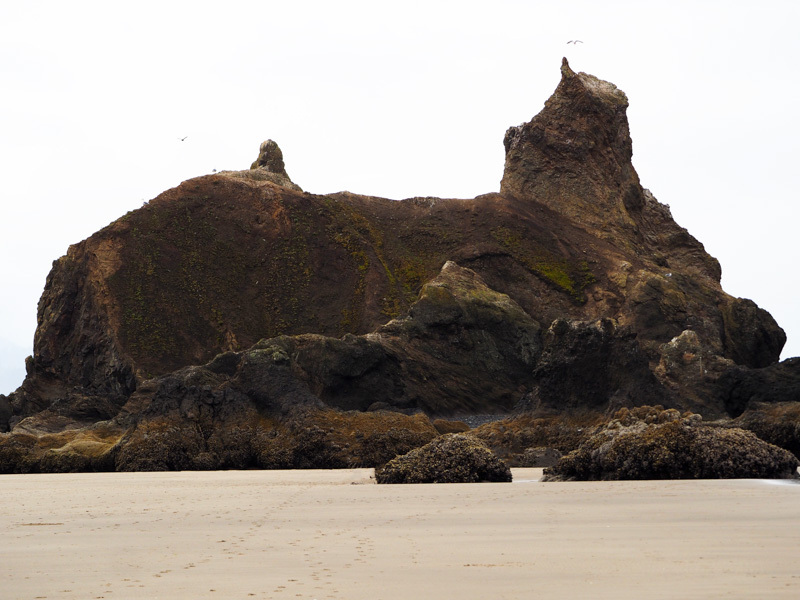 The lava flows created many of the Oregon coast’s natural features. 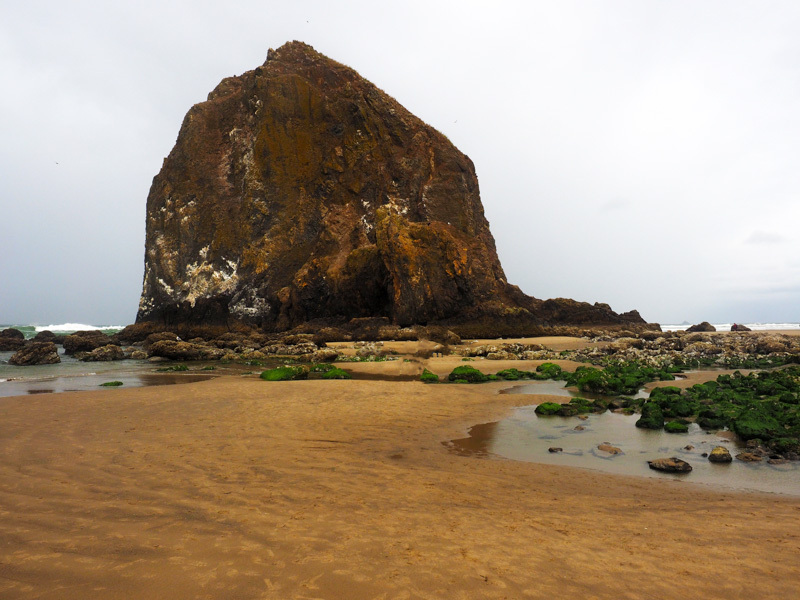 Haystack Rock was once joined to the coastline but years of erosion have since separated the monolith from the coast. 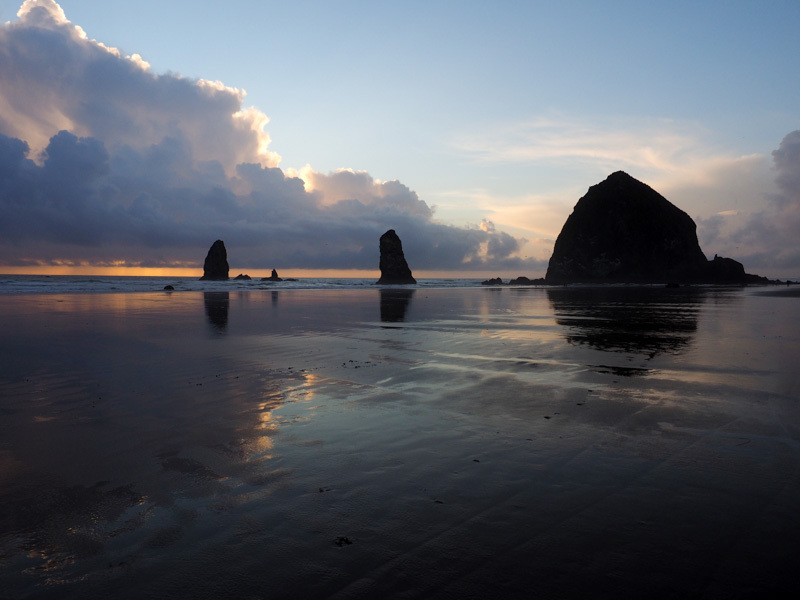 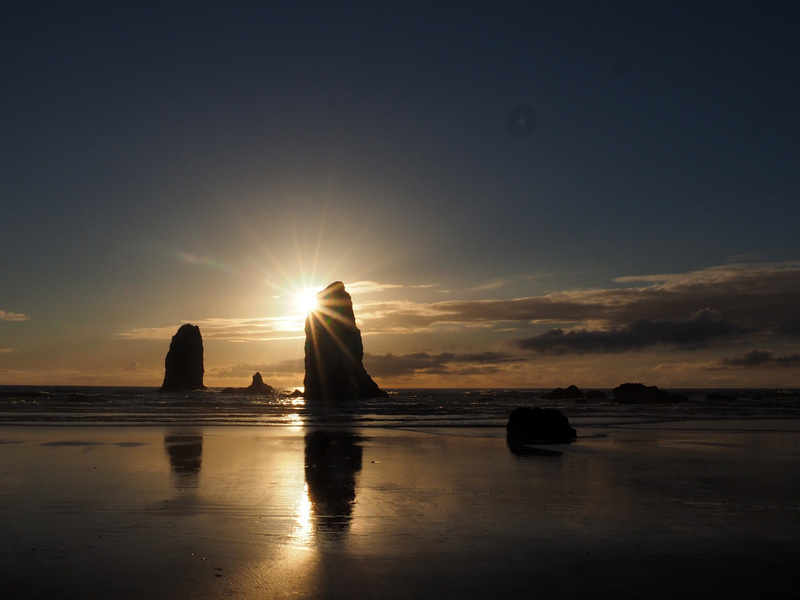 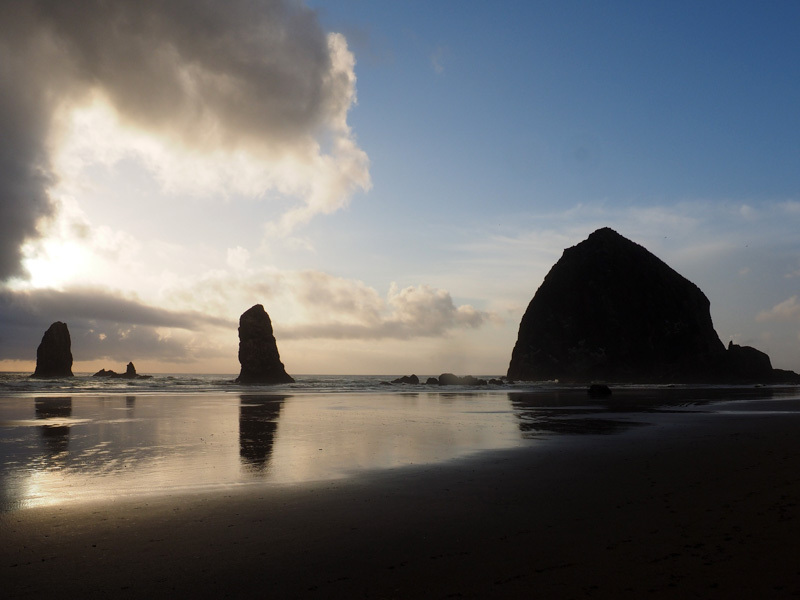 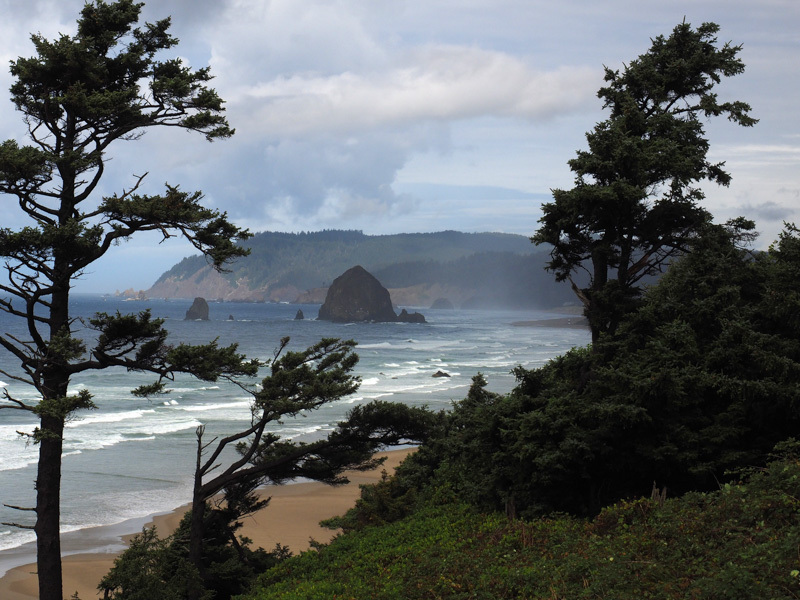 Three smaller, adjacent rock formations to the south of Haystack Rock are collectively called “The Needles”.